Organizing all your projects and managing tasks, budgets, resources, risk factors, files and issues in a secure cloud that everyone can access from anywhere makes sense. Whether you're an experienced project manager or a newly assigned project leader you'll keep the whole team on time, on budget and on task with eStudio's cloud based project management solution. Scroll down to read how you and your team can take advantage of eStudio's robust project tools to work smarter together. Projects can be complex and staying organized when you're managing multiple projects can very difficult. eStudio helps you handle all sorts of projects and all types of tasks. Everybody can rely on our messaging solutions to stay connected with your projects. SMS text alerts and emails are delivered to only the participants that you specify, making the management your projects easier. No matter how many people, no matter how many projects, you control who sees which projects, who is assigned which tasks, which tasks participants see and who can see other participants. Color coding tasks makes it easy to stay up to date. Click the time clock to record your hours. Update the progress bar to help the project running smoothly. When tasks are more complex eStudio has the advanced functions you need to get the job done. 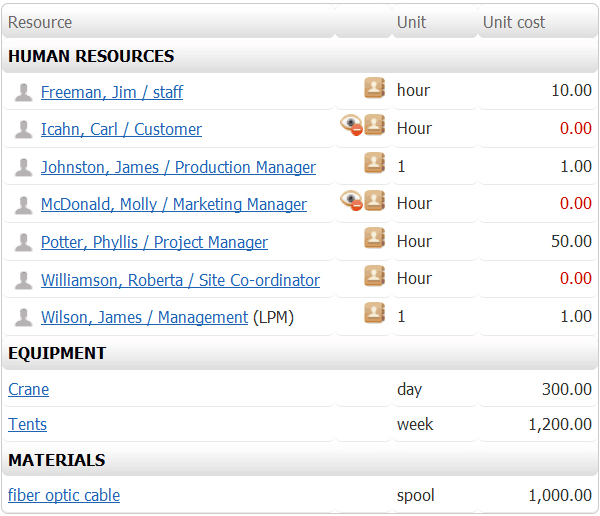 Managing files, tracking other participants, handling problems and recording expenses take just a few clicks. With complex projects come risks. 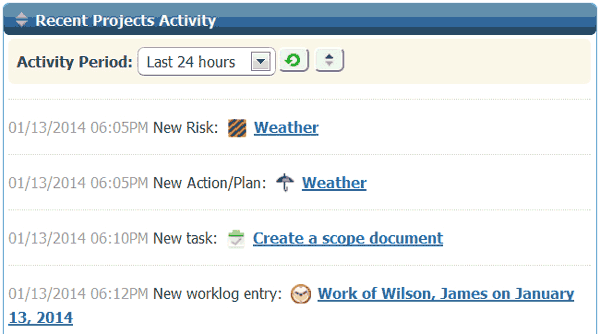 Your project team will be able to identify those risks in the risk register. A little planning goes a long way. Stay up to date on what everybody has been doing on projects. Our Activity Streams keeps everyone in the know. 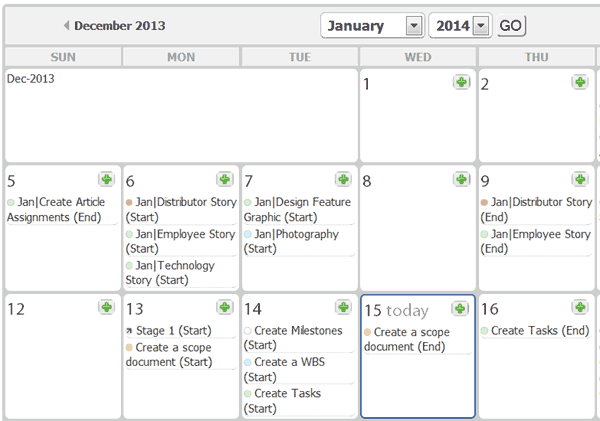 See the projects, milestones and tasks color coded and displayed by month, week or day. Clicking the calendar item sends you right to the task for input and editing. Any eStudio project can become a template for future projects. Set a new start date and eStudio will create a new project timeline. Need to repeat a series of tasks in the projects? 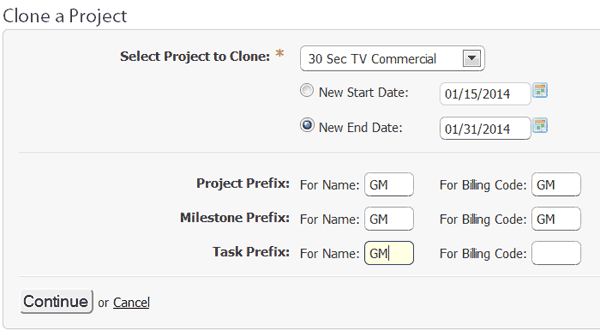 Cloning milestones make the project manager's job easier. It's how you handle them that counts. You've identified the risks but the client has changed the scope- it is time to regroup. Let your project team know about the change in plans and take action. 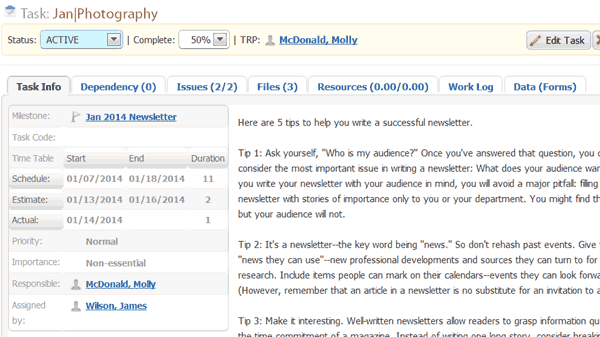 Generate reports about anything and everybody - every project, every task, every resource, and every issue. 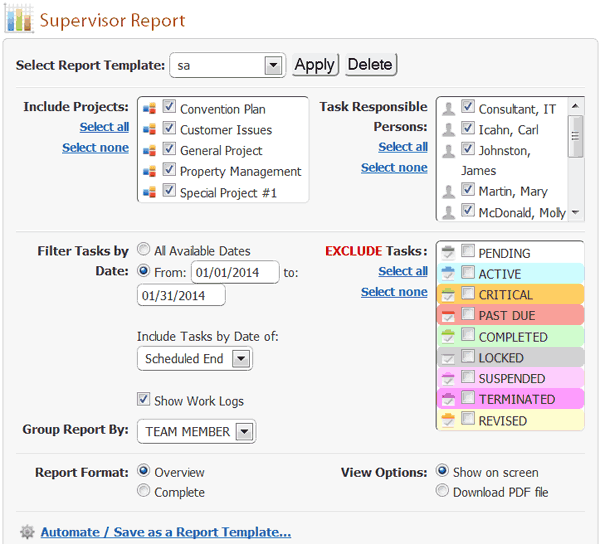 You can even automatically send the reports by email to the project participants you specify. Our advanced SEATM Gantt chart shows task dependencies and timelines. Get a clear picture with printable project expence charts. Let's face it a simple To-Do list is not going to get you real traction on your projects. Whether your business is a small company managing a few projects at a time or a large enterprise with different departments working on hundreds of projects going at the same time, eStudio's project management software can be tweaked to suit your requirements. Efficient and Effective Project Management... and With Better Results! It's easy to set up and gets up and running in no time at all! Whether you are a certified project manager or an entrepreneur looking for tools that ensure the success of your next initiative, eStudio delivers on all counts. Prepare to make life a lot easier, and productive, with real-time updates, insights as well as powerful reporting and collaboration tools.